Australian cricketer Steve Smith who had stepped down from his role as Australia's captain. As Steve and David Warner (vice-captain) were involved in ball tampering scandal during the match played against South Africa in Cape Town. In result of this incident, both the player have ruined their career. 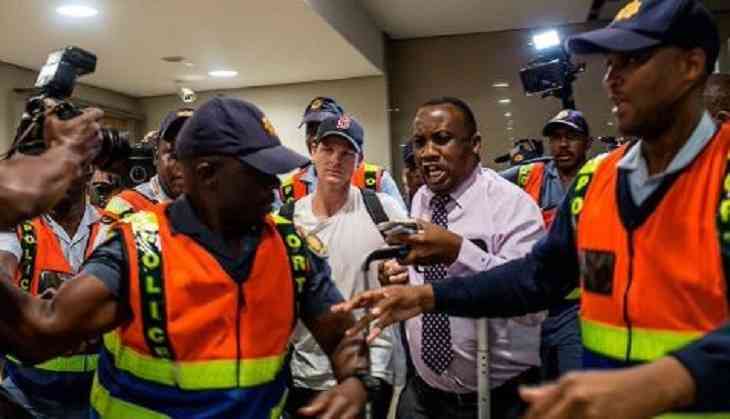 Recently, Steve Smith faced humiliating scenes at the Johannesburg airport where people were boos and cries of ‘cheat’. However, he was surrounded by Police for his security. On Thursday evening, Smith has scheduled the press conference at home. Meanwhile, David Warner and Steve Smith have been banned for a year from all the top-level cricket games while Cameron Bancroft got nine months. David Warner who was considered as a mastermind of the scandal, will not be considered ever for the leadership role of the national team. As per the Cricket Australia (CA), Steve and Cameron would not be picked for the captain till 12 months. This year, Smith and Warner have also been ejected from Indian Premier League 2018 11th edition, losing contracts worth up to $2 million each. Notably, both the players were to be the captains of Rajasthan Royals(Steve Smith) and Sunrisers Hyderabad(David Warner). However, all the cricket firm is not happy with the tactics that they had applied to win the match. Even Indian 'God of Cricket' Sachin Tendulkar has agreed with the punishment given to the players.